We have several customers who are tattoo artists. As a tattoo artist, they know the power of visual marketing. That’s why they choose Dollar Card Marketing to create their tattoo business cards. 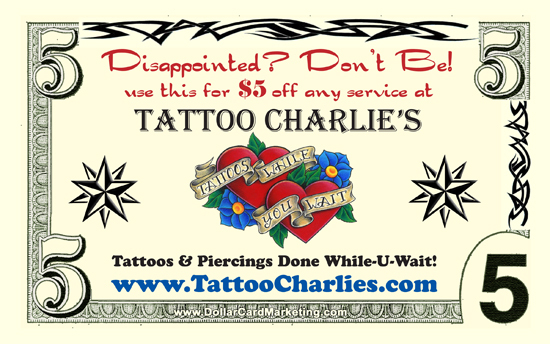 Here’s a tattoo business card that we completed and sent to Tattoo Charlie’s.